Calamondin! Gesundheit! No, no! Calamondin, a cross between a kumquat and a sour mandarin, is just one of the many specialty citrus products that FreshDirect offers. Many of our customers know that we sell carrots and apples and cucumbers—but many may not know about our extensive specialty produce selection. And right now, it’s citrus season! In addition to calamondin, which is often used for its high acid content in cooking, we sell kumquats, etrog, pink lemons and finger limes! Kumquats? Etrog? FINGER LIMES? Yes—these are all real items and proudly featured at the top of the citrus category! With a sweet peel and tart flesh, the kumquat is the inverse of a mini-orange. What’s more, you can pop these little gems like candy for easy eating! Etrog, a lemon-like fruit originating from Israel, is still an important component of the Jewish holiday Sukkot. It has a thick rind and very little flesh. Because of its hardy skin, those familiar with the fruit use the rind to make jams and candies. Finger limes… What?! Originating in Australia and very new to the produce scene, finger limes are making a splash in cocktails, seafood dishes and salads. The tiny pearls are grown by the Shanley Family in Morro Bay, California. I recommend using finger limes to adorn your fish tacos, using them whenever you would use a lemon or lime as a garnish, and sprinkling them in your favorite citrus-friendly cocktail. FreshDirect offers many perks to its customer—quality products, great prices and convenience—but we also offer off-the-beaten paths products that are just waiting for your trial. I encourage you to step out of your foodie box and give one of these delicious, specialty citrus varieties a try. Join me in my New Year’s resolution: make 2013 taste better! Have you tried any of our specialty citrus? Let us know on Facebook and Twitter! Easy Citrus Recipes to Brighten Up Your Day! 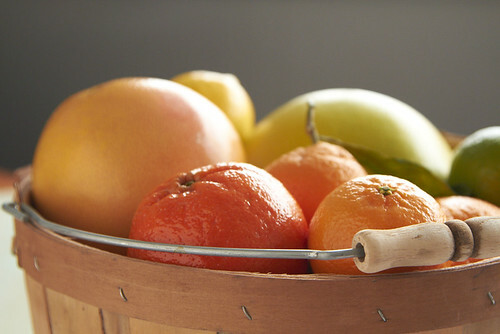 What's Your Favorite Citrus Fruit? In the short days of Winter, I crave as much sunshine as I can get. 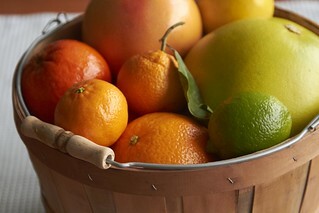 For me, I love bringing the sunshine indoors with bright and cheerful citrus fruit. Not only do citrus fruits make for easy and beautiful centerpieces, they are also healthy, tasty snacks filled with vitamins.